Do you have a business website, but aren’t getting enough business through it? What could be the reason? Why isn’t the website generating enough sales? Well, there could be several reasons why your website is failing in bringing you enough business. Of the many reasons, the visibility of your website in the popular search engines could be the main issue. Having a business website is one thing, but letting your potential customers know that you have a website is totally a different thing. How would customers know that you have a website? You cannot individually identify and tell the potential customers that you have a website. Therefore, you need to think about search engine optimisation. Search engine optimisation, or simply SEO, is all about improving the visibility of your website in the popular search engines, like Google, Bing, etc., so that more people are able to find and come to your website. More traffic to your website, i.e., more people on your website, means greater chances of sales, leads, and conversions. Eventually, it will improve your business. Sounds good, doesn’t it? So, how would you proceed with this search engine optimisation? SEO is a difficult process. This is especially true when you do not know how various search engines work. So, your best resort is to find the professional help, a good SEO company. SEO companies specialise in optimising your website and carrying out certain activities that are geared toward gaining visibility of your website in the major search engines. 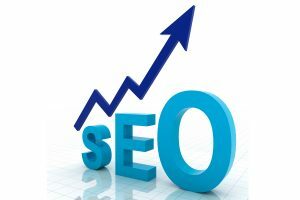 Hiring the SEO services of one of the best SEO companies will streamline your website so that it will start generating more sales for your business. There is a catch here! You must hire a good SEO company. There are plenty of SEO companies out there, but only some know how to optimise and improve the visibility of your website. SEO companies that do not know how search engines work may resort to outdated approaches, which could leave a negative impact on your website. Some companies may even rely on unethical approaches, such as backlinks, which could lead to a complete ban on your website in the search engines. That’s something you definitely don’t want. For that reason, hire a good, professional SEO company that employs ethical, contemporary ways to improve your website ranking. For the best SEO services in Ireland,contact our SEO Consultants who not only specialise in ranking your website, but they also help you identify new search terms that will increase your customer base.